In case trade and stays above 545-560 then ready for very big up move , if it happen, will post the big target. But trade and stays above that then ready for big up move. 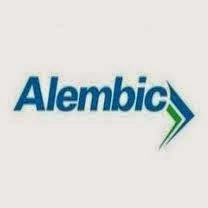 After this post it made high and hurdled exactly at 194.90 on 22nd July itself, from there corrected up to 152 on 14th Aug.
GLENMARK (714) - Posted on 19th Aug and said "Hurdle 730-750"
as posted it made high 749 on 20th May and as on yesterday it made low 710. — MURUGAVEL (@murugavell) August 19, 2014 . So now it become support and mentioned target of 300-304 is due. BALKRISHIND (738) - It seems correction over and any time ready to move up once again. In fact, above post was reminder of post dated 04th July and after this reminder post , it came down to 330.70 and closed at 334.85 on 01st Aug. and yesterday it made high 404.30 . So target attacked. so now mentioned target and resistance 402-412 remain same. 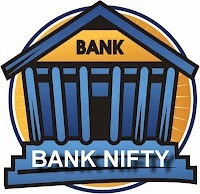 BANKNIFTY (15662) - Regarding this index, last update was on 13th May and said "Above 13500-13300 Ultimate Upside Target 18200-18900"
After this post, it made high 15742 on 16th May and afterwards trading between 15700 to 14700 levels in the last three months. and afterwards already mentioned ULTIMATE UPSIDE TARGET 18200-18900 is remain same and intact.